League: Baseball Sign Ups - Manteca. Modesto/Ripon. League Updates: Now Taking Sign Ups for the Next Two Leagues. We will place individuals on teams. Tball and Coach Pitch plays on Monday nights, 5:30 or 6:30pm games starting in late June at Rainbow Fields. Practices are set by the coaches so we cannot say when those are. Price is $155 and players should fill out the sign up form AND make payment to be signed up. Shirt and hat is provided. We encourage players to have their own glove and batting helmet. Coaches will make contact with players by June 1. Equipment: T-Adjustable. Batting helmets: Provided by players at parents discretion. Game will be 4 innings or 60 minutes, no new inning after 55 minutes. Every player hits off of the batting tee, there will be no pitching (a player will remain at bat until they hit the ball and put it in play). When on Offense a coach will be allowed at every base and at home plate with the batter. No extra base hits, players may advance 1 base when the ball is put in play. All outs will be force outs, if an out is made, that player will leave the field. The pitcher will start on the pitching rubber. No sandals will be permitted. All Defensive players need to have a glove/mitt. 3. Coach will pitch from within the circle drawn around the 45’ ft mound. 4. Everyone will bat in a continuous order. Ten players play on the Field. 5. When the pitcher is in control of the ball with both feet inside the circle, the play is dead. At that time all base runners must return to the last base touched. If two runners are between the same bases, the front runner is awarded the next base. 6. The batter and all base runners must wear helmets. 7. No new inning will begin after 55 minutes or 6 innings. Games can end in a tie. 8. A batter will receive 5 pitches or 3 strikes. Fifth pitch can be fouled until the ball is hit fair or the batter strikes out. No Walks. 9. Teams can choose to have a catcher behind the plate or not. Catchers must be in full gear if used. A regular glove may be used in place of a mitt. The inning can begin without a catcher to speed the game up. 10. The child playing in the pitcher position must have one foot on the rubber, and stay behind the pitching coach until the ball is released. 12. Pitching coach will throw to his/her own batters. A. Pitching coach must exit the playing area immediately in a manner that doesn’t interfere with the play. B. Pitching coach must attempt to avoid contact with the ball. C. If a ball hits the pitching coach and the judgment of the umpire is the pitcher did not intentionally interfere with the ball, the ball is dead and the batter is awarded first base and base runners will advance one base if pushed. D. If ruled intentionally the ball is dead and the batter is out. 13. Infield fly rule will not be in effect. 14. One offensive and defensive time out per inning: this does not include umpires time outs. 1. Pitching Distance is 40 feet. 60 foot bases. 2. Continuous Batting order, all players bat. Teams can play with 8 players, but the 9th spot is an out unless walked or hit batter before the empty spot, then it would be skipped. 3. Rookies can play with 9 or 10 in the outfield, must be 4 outfielders on the grass. 4. Players can only sit out two innings in a row. Then they must play for at least one full inning in the field. 8.09.D Runners shall not advance when the pitcher is on the pitching rubber with the ball in his possession and the catcher is in position to receive a pitch. Rule 8.09.D Comment: Runners may advance on a batted ball hit to the pitcher and when “Time” has not been called. 6. Game time is no new inning after 1 hour 30 min or 6 innings. Games can end in a tie. 5 runs max. per inning. When there is less that 20 minutes in the game at the start of a new inning, umpires will declare an open inning or the last inning will be an open inning. There could be more than one open inning. 7. No metal spikes. Approved USSSA bats allowed. No Balks called at this level. 8. Pitchers can pitch 3 innings per game max. Once a pitcher is removed, he can’t pitch again in the same game. 9. Courtesy runner for the pitcher or catcher anytime, must be last batted out. 11. A batter is automatically out on a dropped / missed third (3rd) strike by the catcher. 1. Teams can bat 9, 10 or whole line up. Teams can play with 8 players, but the 9th spot is an out unless walked or hit batter before the empty spot, then it would be skipped. 2. Game time is no new inning after 1 hour 45 min or 6 innings. 3. Games can end in a tie if the game is tied after the 6th inning ends or after time expires and the inning is completed. 4. 5 runs max. per inning. When there is less that 20 minutes in the game at the start of a new inning, umpires will declare an open inning, or the last inning will be an open inning. There could be more than one open inning. 5. Run rule is 10 after 5 innings. 6. USSSA approved bats for 13u and younger. 14u division must use -5 or -3. 7. Only 13u and older can wear Metal spikes. Metal spikes are allowed at Rainbow Fields but not at Mistlin Fields Ripon on the turf fields or on any pitching mounds at Mistlin. 8. 3rd ball dropped strike is played. 9. Courtesy runner for the pitcher or catcher anytime, must be Sub first or last batted out if no subs. 10. Pitchers can pitch 3 innings per game. Once pitcher is removed, he can’t return in that game to pitch again. Violation for over pitching is ejection of the pitcher and Manager from that game. 11. Distance played is 9u is 44 pitchng/65. 46/65 for 10u. 50/70 for 11u and 12u. 54/80 for 13u. 60/90 for 14u. 12. Players must play in at least 4 games to be eligible for play offs. 13. 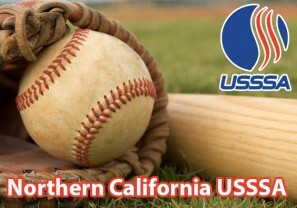 All players need to be entered on the USSSA team roster in order to play. 14. Team listed first on the schedule is home team unless otherwise noted. 2. Game time is no new inning after 1 hour 45 min or 7 innings. Games can end in a tie. 5 runs max. per inning. When there is less than 20 minutes in the game at the start of a new inning, umpires will declare an open inning, or the last inning will be an open inning. There could be more than one open inning. 3. Run rule is 10 after 5 innings. 4. 13u Bats must be USSSA Stamped 1.15. 14u Must use -5 approved bats. 15 yr olds Must use -3 BBcore approved bats or wood. 15 yr olds must be *starred on the line up prior to starting. 5. Be aware of the metal cleat rule for the park you are at. No Metal on the portable mounds. No Metal on Turf fields at Mistlin. 6. 3rd ball dropped strike is played. 7. Courtesy runner for the pitcher or catcher anytime, must be Sub first or last batted out if no subs. 8. Pitchers can pitch 4 innings per game. Once pitcher is removed, he can’t return in that game to pitch again. 8. Distance played will be 90 feet bases and 60 feet pitching for 14u and older. 13u is 54/80. 9. Players need to play in at least 4 games to be eligible for play offs. New players should be reported to the league director before playing first game.